Are you looking for something fun to do this summer that involves history and interacting with others? We have the perfect opportunity for you! Our two day Junior Docent Academy will enhance your communication skills while you share our rich history and exquisite site with visitors. 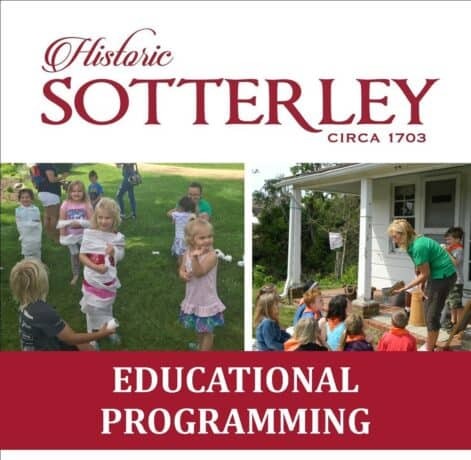 Upon successful completion, you will become a Junior Docent and Ambassador for Sotterley. Returning Junior Docents can learn of changes and hone their skills. For ages 8-18. Advanced Registration Required. Tuition is $35 which includes a Sotterley student membership. For a full list of all our Educational Programming events click here.